Wizz Air, one of Europe’s fastest growing airlines and the leading low-cost carrier in Central and Eastern Europe, has confirmed it will be expanding its low-fare UK network with the launch of a new service from Birmingham to Krakow. Flights from Birmingham to Krakow will operate on Tuesdays, Thursdays and Saturdays, with fares starting from as little as £17.99. 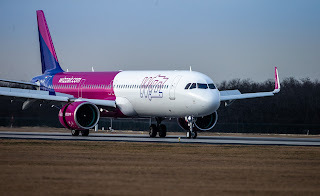 Following the establishment of its Krakow base in September 2018, Wizz Air’s Birmingham service will be the third route to operate from the UK to one of Poland’s oldest cities. Tom Screen, Aviation Director at Birmingham Airport said: “Welcoming a new route to the airport is always exciting. Krakow, in particular, is becoming an increasingly popular tourist destination for its scenic architecture, as well as its history. To be able to serve this route, adding to the existing Wizz Air network at Birmingham is great. Owain Jones, Managing Director, Wizz Air UK said: "Our aim at Wizz Air is to create the opportunity for UK travellers to enjoy low airfares to exciting destinations, coupled with a great travel experience. I am sure that our customers will love exploring all that the unique Polish cities of Gdansk and Krakow have to offer." "Our base in Krakow has gone from strength to strength since opening in September, providing passengers with the chance to travel to one of Europe’s most fascinating cities, steeped in culture and history with a vibrant culinary scene. 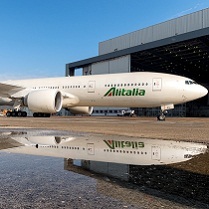 Our friendly cabin crew look forward to welcoming travellers onboard one of the youngest and most efficient aircraft fleets in Europe very soon."